Not sure about other sellers on etsy but it's so precious to receive feedback these days in there. "Tutorial was easy to follow. Pictures were perfect and the project turned into a lovely gift for a friend of mine. Thank you!" 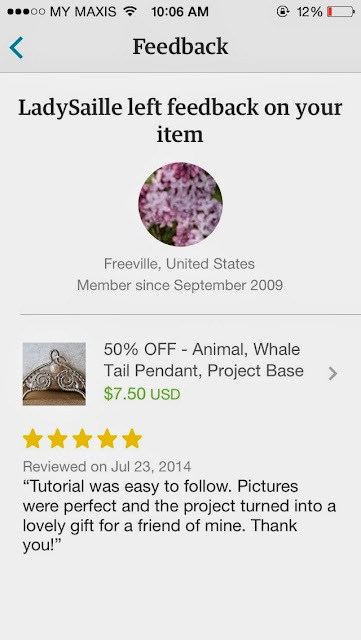 Whale Tail Pendant tutorial is available for download now.